I don’t remember where I found this recipe, but it is AMAZING!! It’s so tender and full of flavor. I’ve made lots and lots of recipes that I found online, but the hubs and son haven’t liked any of them enough to ask for them again. But both LOVED this chicken. I got so many request for it that I now automatically make it once a week. It’s so easy and quick to make, and not expensive at all. I did change the oven temp. and time. I think the original recipe said to bake at 425 for 20 min., but I bake it at 350 for 50 min., and it’s awesome. If you try it, let me know how you and your family liked it. You can adjust the amounts of mayo, parmesan cheese etc. to suit your likes. In a bowl, mix the mayonnaise, Parmesan cheese, and garlic powder. 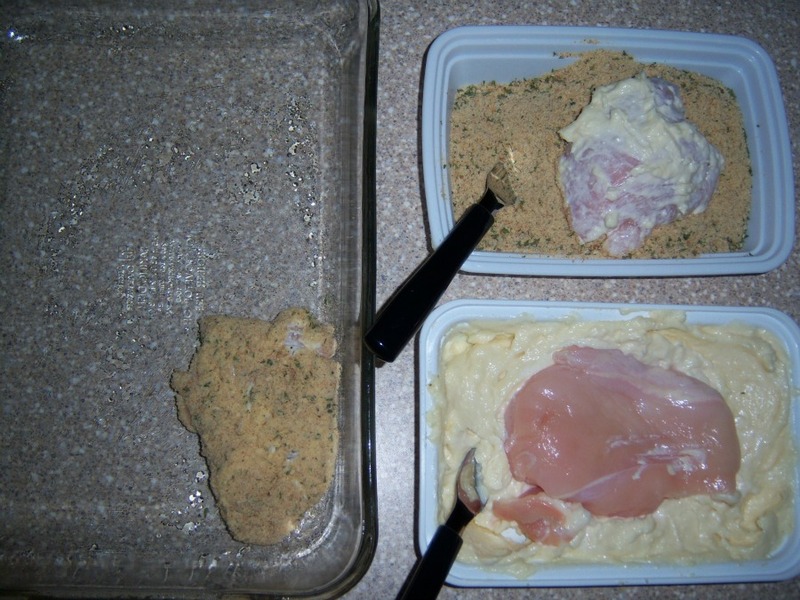 Dip chicken into the mayonnaise mixture, then into the bread crumbs to coat. 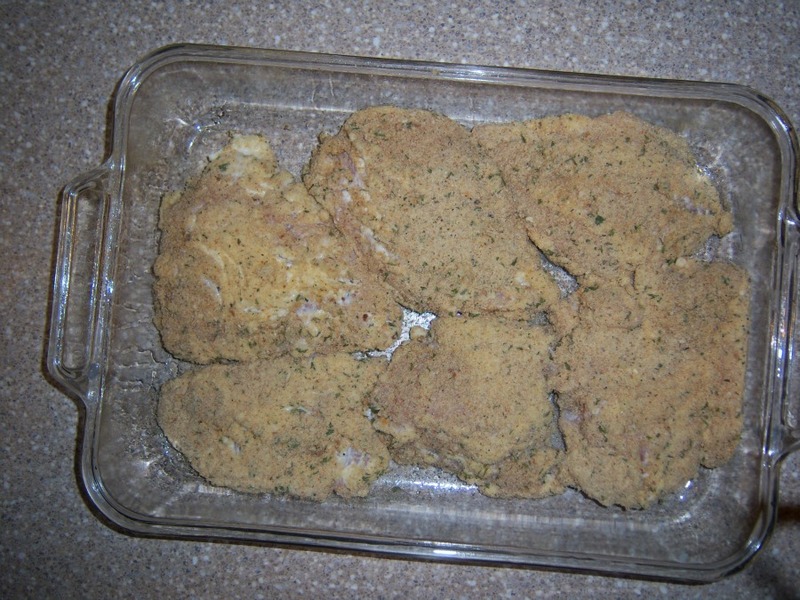 Arrange coated chicken on a 9×13 inch baking dish. I bet these are good. I’m not a big mayonnaise fan, but baked with Parmesan cheese? I think I’d like to give these a try. Great looking chicken . Have a super wee. 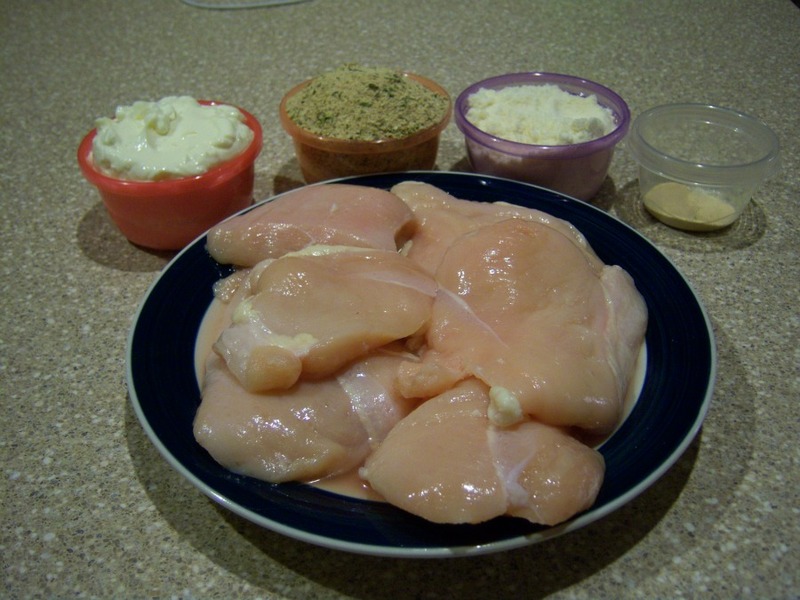 Your chicken looks wonderful, this is a recipe I would try. It does sound very good. Moist and tender. Will try it soon. I love chicken! What an interesting combination! I’ll look into this! Sounds delicious. I’ll have to try it sometime. That high temp, short cooking time sounds like a strategy to crisp the coating? Hmm. I like the way you did it. Looks so easy and flavorful. Oh wow, that breading sounds amazing, this is one my whole family would love, as well! 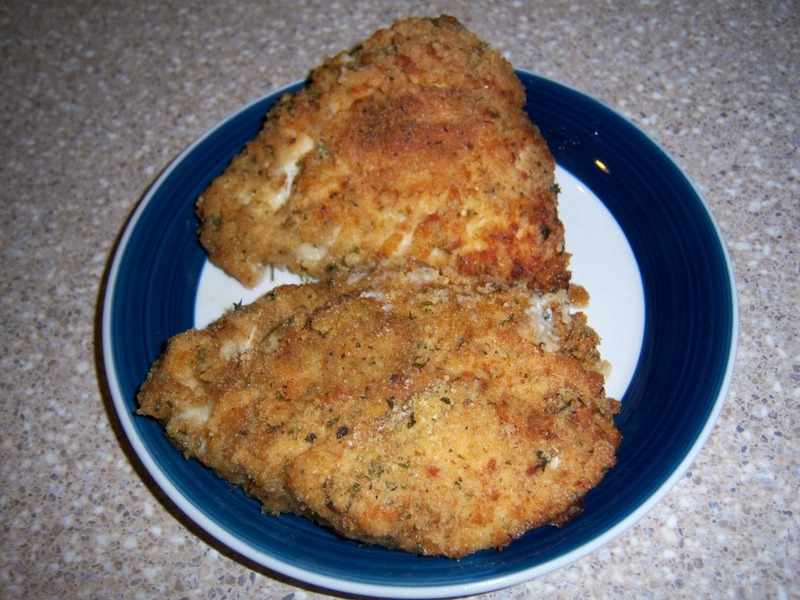 I always have trouble getting breading to stick to my chicken – maybe mayonnaise is the key! These look delicious! Sounds good – and I think I have all the ingredients on hand.